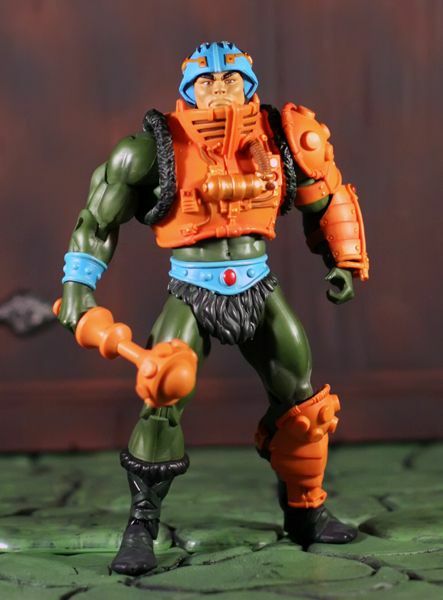 For two centuries, the Eternian weapons master and combat instructor to the royal family has been called the "Man-At-Arms". 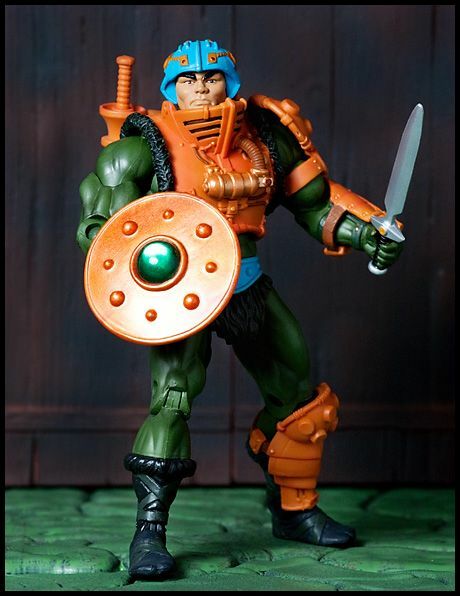 Trained by the renowned tactician Dekker and a veteran of the Great Unrest, Duncan was asked by King Randor to step into this position and fortify his guard with an elite strike force, which he named The Masters of the Universe. 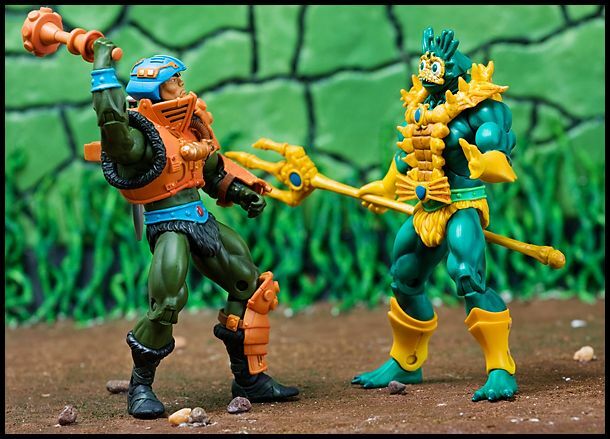 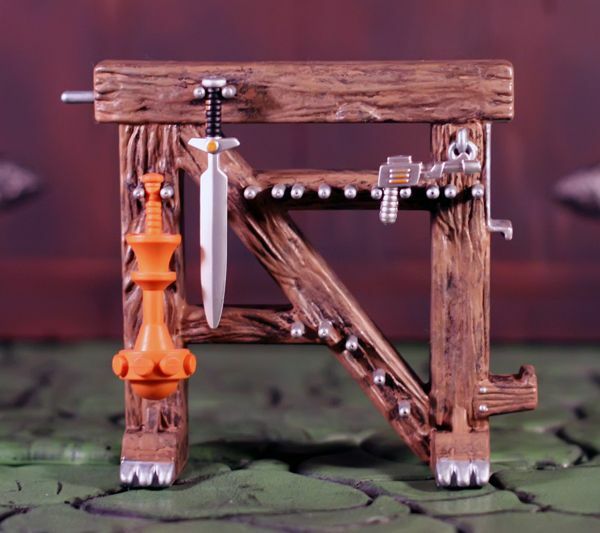 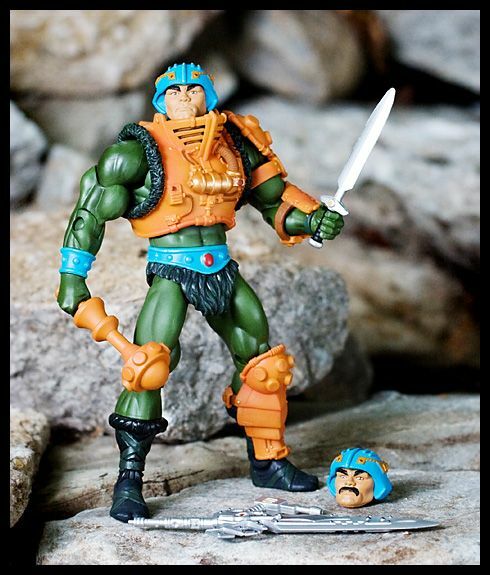 In addition to his skills in combat, Duncan is also a great inventor and helped construct an electronic version of the Power Sword for Adam to use until he could unite both halves of the sword of King Grayskull. 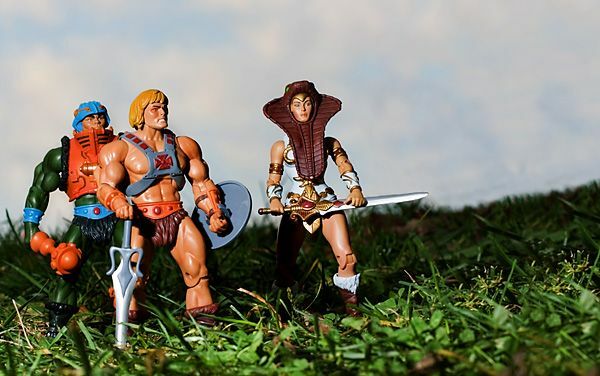 Man-At-Arms and his adopted daughter Teela often scout the borders of Eternia for signs of lurking evil. 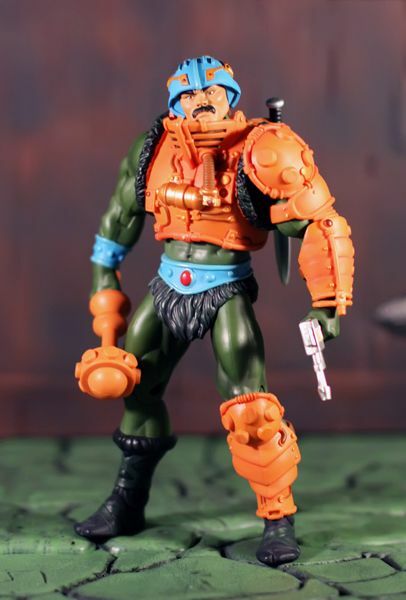 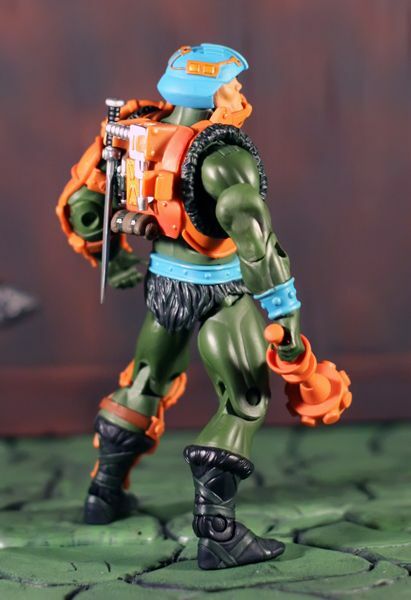 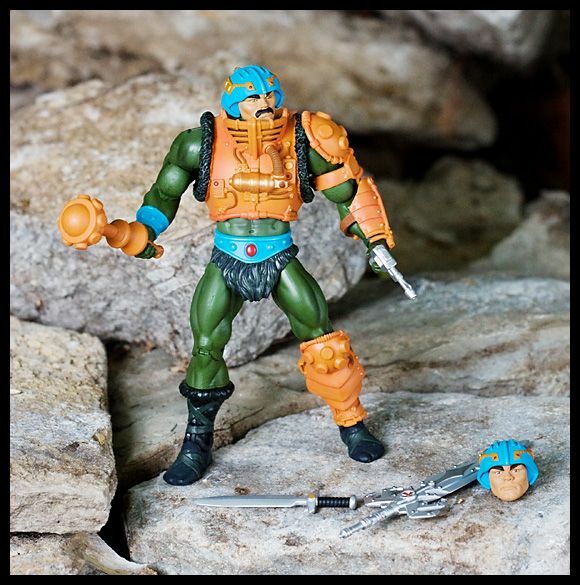 Additional Parts: Man-At-Arms also includes an interchangeable "Mustached" head, allowing you to recreate his cartoon-inspired look. 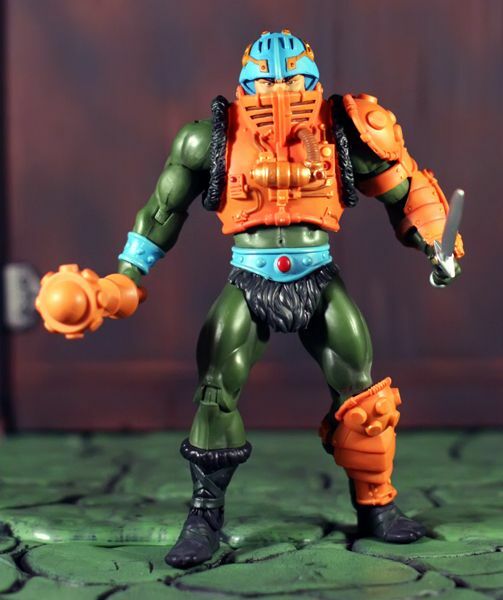 Maybe my favorite MOTUC figure! 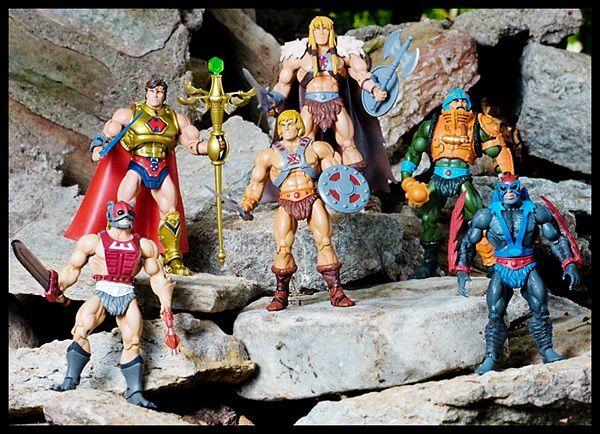 I have a much deeper appreciation of the original eight characters after reading Danbrenus's awesome mini-comic's! 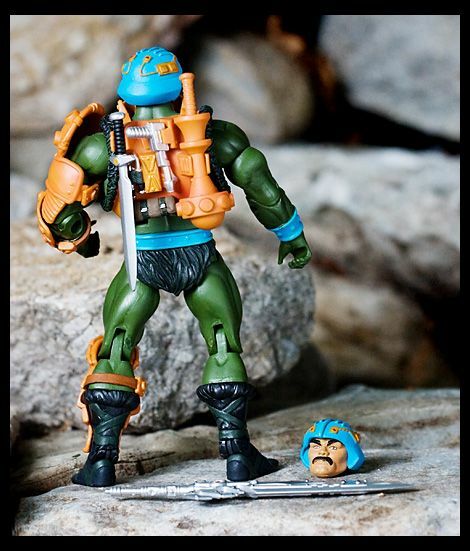 Mustachless master of weapons and fighting skills! 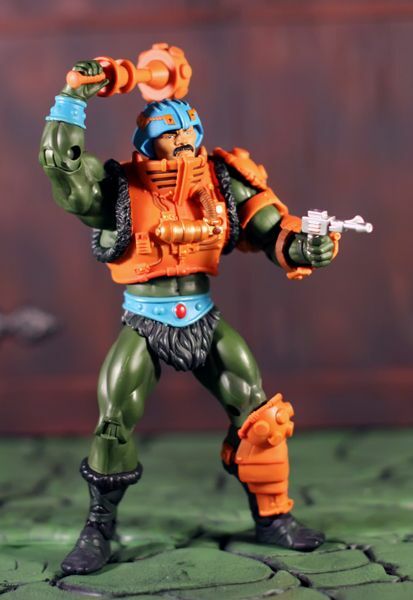 Great review guys!